If you want to pay Elvis Presley a visit, you could just go to Graceland; that’s where he’s buried. Better yet, head off to Wright City, Missouri, where the singer’s spirit is still alive and kicking. The small country town is about an hour’s drive from St. Louis. 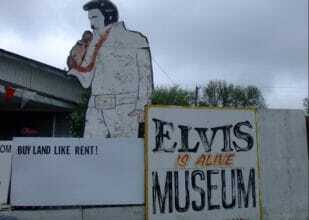 Even before you hit town, you can see the wooden sign from the highway: a cut-out of Elvis, five meters tall. He’s carrying a cross like Jesus. 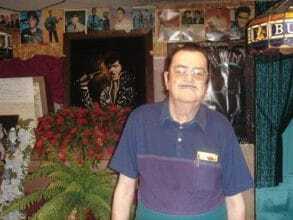 This faded Elvis is all that remains of the Elvis Is Alive museum. I discovered the former museum a few years back by sheer accident. I was picking up a second-hand canoe that I had bought off the internet, and the route I took brought me near Wright City. Enticed by that Elvis sign, I detoured to take a peek. When I stepped inside, I was greeted by an older man who introduced himself as Bill Beeny, “the one and only”. Mr. Beeny told me that the museum had been closed since 2007. The collection once boasted newspaper clippings and a white Cadillac that Elvis had ridden in once. But the prize exhibit was the results of a DNA test that allegedly proved that Elvis was still alive. He had sold off the collection for more than $8000. The former museum’s building now housed a food bank for the needy of Wright City. Those stories gave me the impression that Beeny was a charlatan, and possibly also a racist. His claim that Elvis was still alive, however, did hold some merit, as far as I could tell. I don’t mean that the rock legend himself still lives and breathes. But there are an awful lot of men who look like him, especially in small towns like Wright City. Elvis was a tragic middle-aged white man with a serious weight problem who was addicted to pills and led a self-destructive life. Many people in rural areas fit that profile. The songs Elvis sang are about despair. Like Heartbreak Hotel, about a man who committed suicide. And they testify to a man who felt that his manhood, his honor, was threatened. Just listen to Don’t Be Cruel and (You’re The) Devil in Disguise. Those indignant, desperate men: there are lots of those in the rural Midwest. ‘Middle-Aged White Americans Are Dying of Despair’, a newspaper headline proclaims. Less well-educated white Americans are sicker and die younger. They are more likely to be addicted to pills and heroin. They are more likely to be obese. In short: they’re desperate. Suicide has been on the rise for some time now. Nearly 84% of suicide victims are white, and 77% are male, the New York Times tells me. Poor white men run the highest risk, as I read in the Economist. 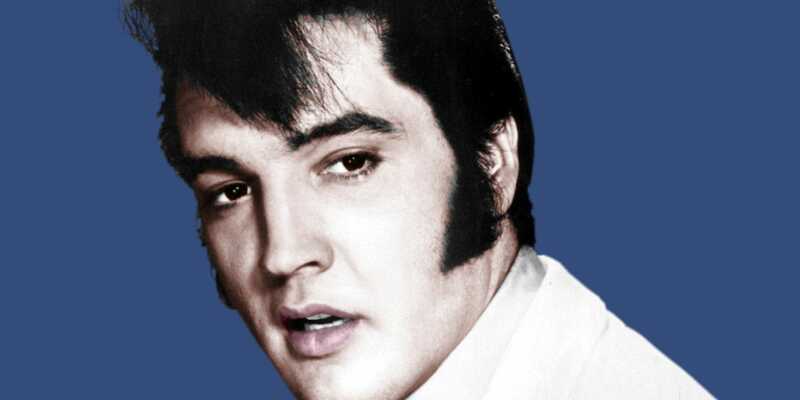 Despair and self-destructive tendencies: you could call it the Elvis syndrome. It’s not just a dusty relic from the past, though. There are thousands of these Elvises in the crumbling, broken Missouri countryside. These are the men that are served by Wright City’s three (!) food banks. The indignant men who are attracted to right-wing ideas, drawn in by people promising redemption and by authoritarian charlatans. Elvis isn’t dead; he’s been carbon-copied. This is part 3 of our blog series ‘Poverty and profit in the American city’. Upcoming: part 4 by Arjen van Veelen, an interview by Katherine Oktober Matthews with speaker Matthew Desmond, a review by Lize Geurts of the exhibition based on Desmond’s book ‘Evicted’ in the National Building Museum in Washington DC, and a column by UvA-postdoc researcher Cody Hochstenbach who will join the conversation with Desmond at our event at De Balie on July 4th. The views expressed in this post are the author’s own and do not necessarily reflect the views of any associated organization. ← The Gateway Arch: a Statue of Unliberty?